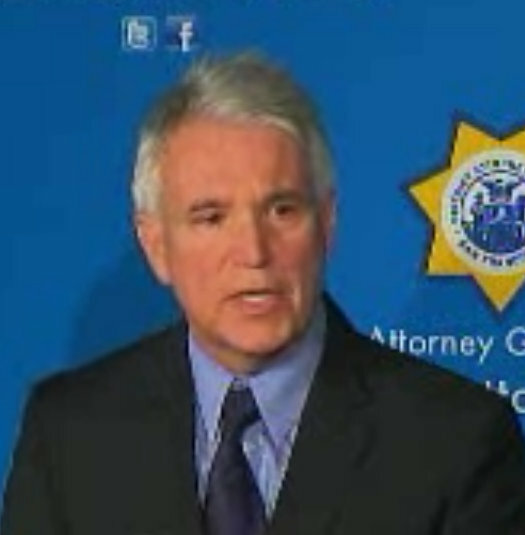 District Attorney George Gascón has announced that he will hire an attorney devoted to handling vehicular manslaughter cases, in what could be a major step toward bringing accountability to drivers who kill. The full-time position, requested in the next budget, is necessary to ensure his office can respond “swiftly and appropriately” to such cases, Gascón said. The district attorney reminded hundreds of public-safety leaders and advocates at the Hall of Justice auditorium that 21 pedestrians were struck and killed by motorists in The City last year, the highest number since 2007. Two months into this year, eight people have lost their lives on San Francisco roadways, which he called “unprecedented” and an incentive to implement the Vision Zero policy to eliminate pedestrian fatalities. Modern technology has meant that advancements like computers in vehicles, security cameras and smartphones become part of vehicular manslaughter investigations. Gascón’s strategy is to have a prosecutor who understands all the forensic evidence available in the 21st century. If the Board of Supervisors approves the position, the hiring would happen after the start of the fiscal year. Gascón also reiterated the importance of the engineering of safer streets, enforcement and education to combat pedestrian fatalities. Gascón’s announcement is a marked turnaround from the days when he dismissed the lack of prosecutions of deadly drivers by erroneously blaming pedestrians in most cases. Since then, his message has evolved, and he appears to be following the lead of the SFPD by pledging to pursue Vision Zero, with action to back up the rhetoric. “It is exciting that District Attorney Gascón supports our Vision Zero strategy,” said Supervisor Jane Kim, who introduced the Vision Zero board resolution, which is on a supervisors committee agenda for next Thursday. Just once I want a politician to make these sorts of moves and statements *before* they get raked over the coals. To me this says Gascon is either disingenuous or not smart enough to see the issue before it is rehashed for him over and over and over. The old saw is that pols aren’t really leaders, but followers who sneak ahead of the parade when they think no one is looking. “Evolving position” is the catch phrase for this disingenuous behavior. Maybe our pressure is having some kind of effect. I appreciate the rhetoric at least. Let’s see some prosecution of these killers and maybe our streets will actually start to get safer.